Nebraska is a very fertile state. Fields of corn, wheat and soybeans are abundant and out west you'll find fields of sugar beets. Photo courtesy of Rick Rasmussen. 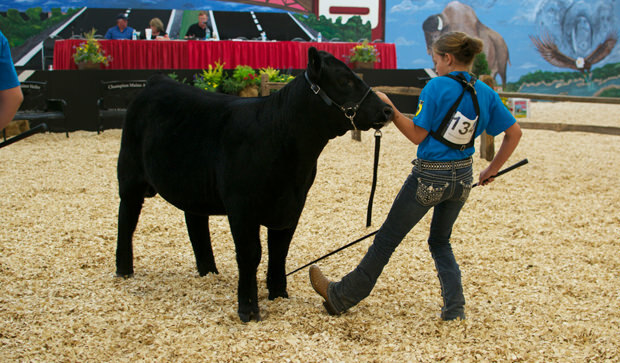 Grand Island plays host to national and regional agricultural shows in state-of-the-art buildings at Fonner Park. The annual Husker Harvest Days draws people from all over the country to see new equipment in action. Smaller operations in the area include vineyards, a specialty mushroom farm, melon farms and more. The Sandhills are excellent for grazing cattle. 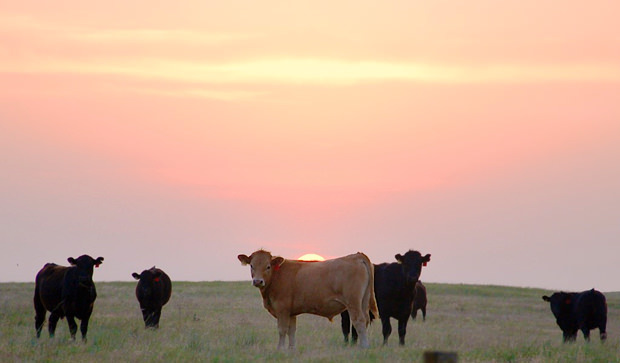 Some of the best beef in the world comes from Nebraska. Farming is a business and the business of farming is growing; large operations are increasing while family farms are decreasing. These families work hard to maintain the honor, traditions, and ethics of farming handed down generation to generation. There are 608 farms in Hall County, primarily crop farms with some livestock farms. of corn on a hot July day. 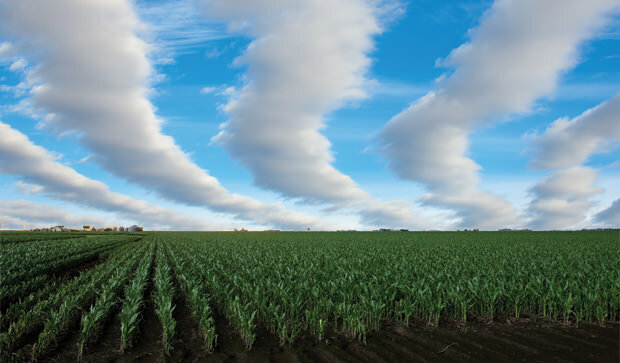 210,000 acres of corn are grown in Hall County. The majority is used for feed corn; other uses include human consumption, seed corn, and fuel. 17,000 acres of soybeans are planted annually. They are used for food products, oil, meal (protein rich livestock feed), and fuel. The 12,000 acres of hay harvested annually may included native grasses and alfalfa for livestock feed. 682 acres of sorghum (milo) are also planted for livestock feed. Corn — 120 days. 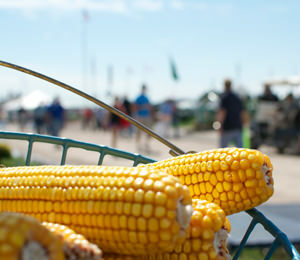 Planting mid May and harvesting in October yields an average of 180 bushels of corn per acre. Soybeans — shorter growing season. Planting in June and harvesting in late September. 19 swine operations, small sheep producers and four dairies plus small chicken farm flocks. 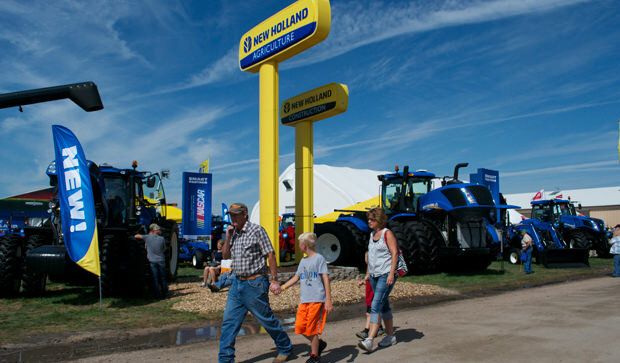 Husker Harvest Days is an annual farm show that allows visitors to see the newest equipment in action. 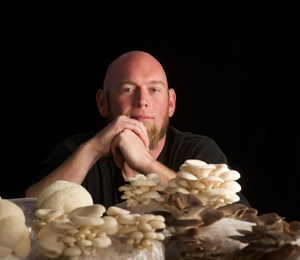 Rows of mushrooms quietly emerge in Ash Gordon's inconspicuous warehouse near the airport, some for food and some for medicinal use. 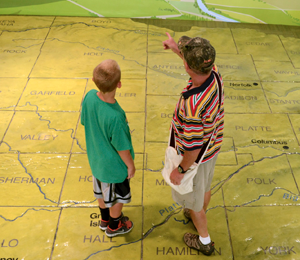 Raising Nebraska is a 25,000 square foot agriculture display detailing how our food goes from farm to fork.